The world is moving into digital and the newspaper industry has felt declining advertising revenues for the past ten years. Thousands of papers all over the world have been shuttered or bought out by larger organizations. The New York Times CEO Mark Thompson said newspapers have about a decade left before they are truly irrelevant. Newspapers used to be the only way that you could get news stories and editorial content. The internet disrupted it because websites that started to specialize in niche content. Your local papers political section likely pales in comparison to Politico and the weekly technology segment is a joke if you are a daily reader of the Verge or Engadget. 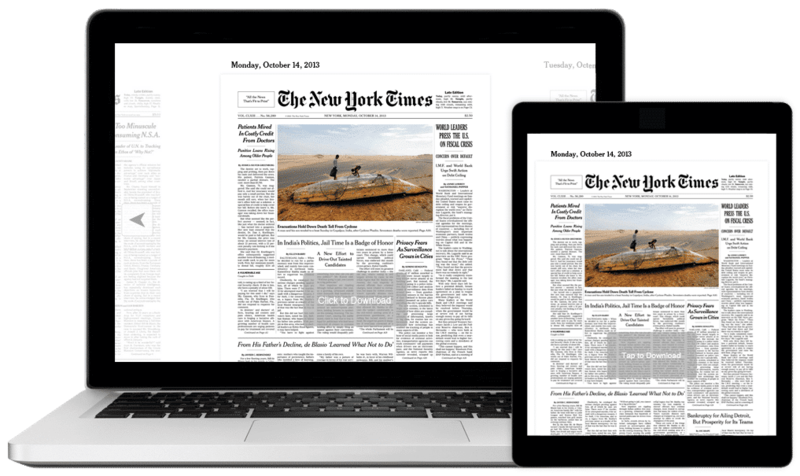 Newspapers are also finding it hard to make money as advertisers have left in droves to have their dollars provide a higher rate of return on Amazon, Facebook, or Google. Between 2000 and 2015, print newspaper advertising revenue fell from about $60 billion to about $20 billion, wiping out the gains of the previous 50 years. The New York Times is the poster child for digital subscriptions. In the last quarter they gained 157,000 new subscribers and they have over one million total subscribers.